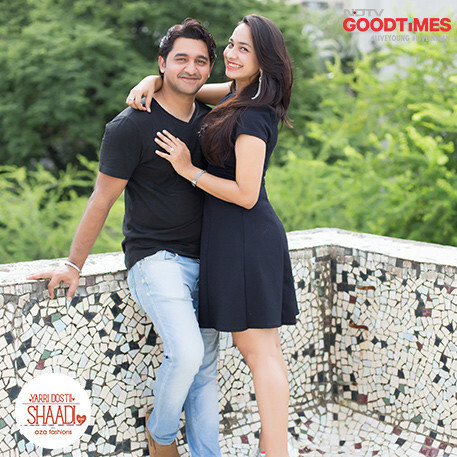 From colleagues to friends to lovers, Padma and Jagdish have come a long way since they first met. 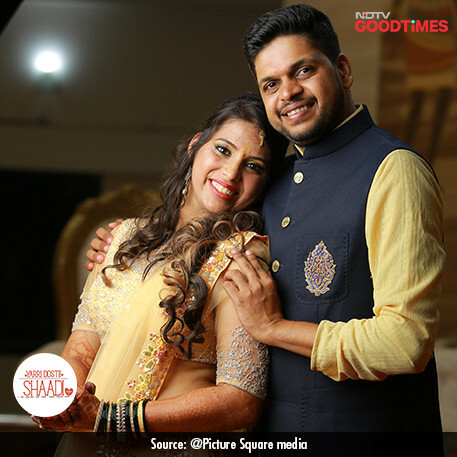 After a trek to Rupin Pass, both of them noticed a shift in their equation where they had grown closer to each other. 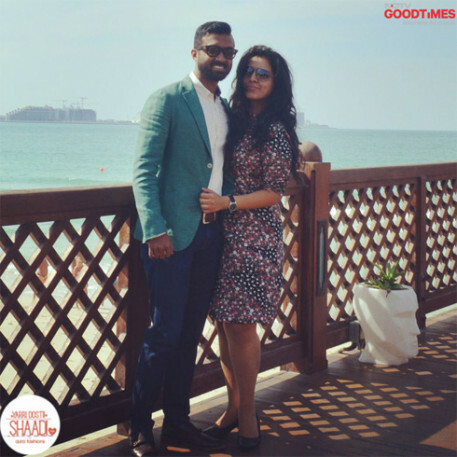 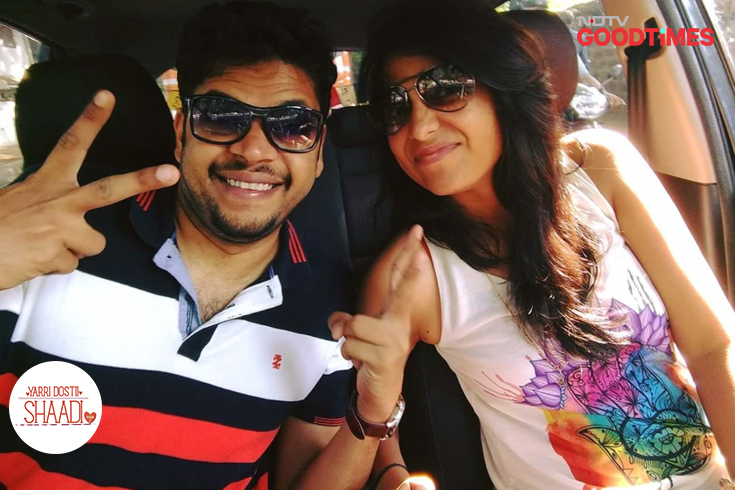 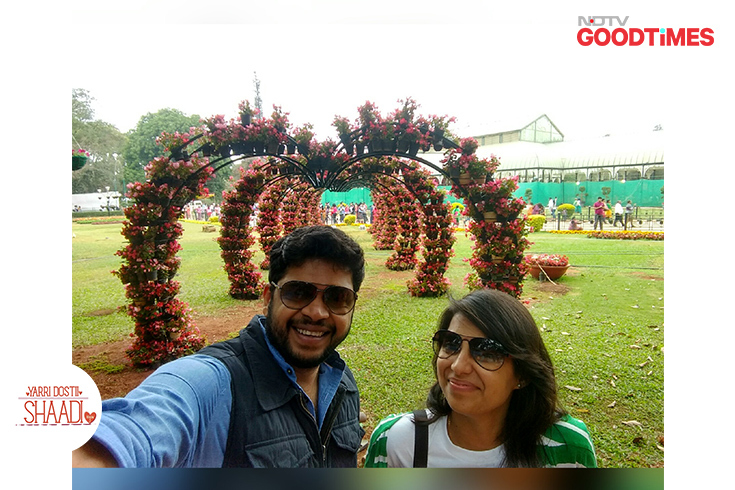 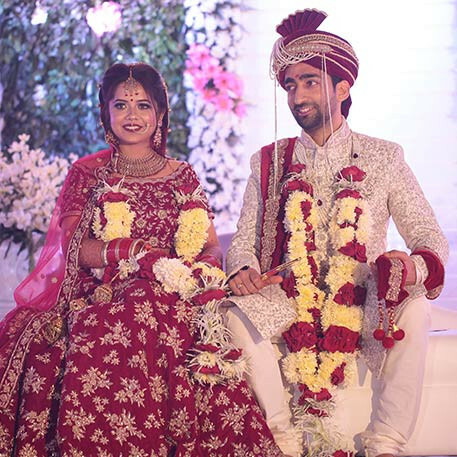 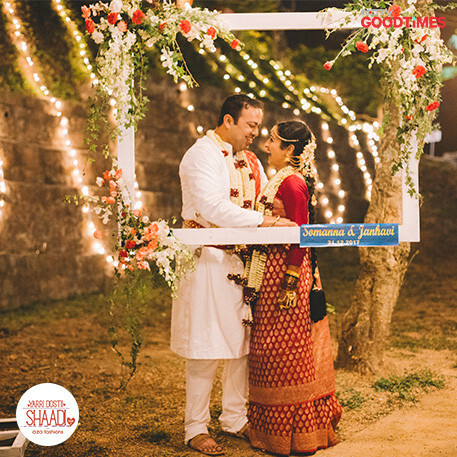 A matrimonial site later matched them as perfect for each other. 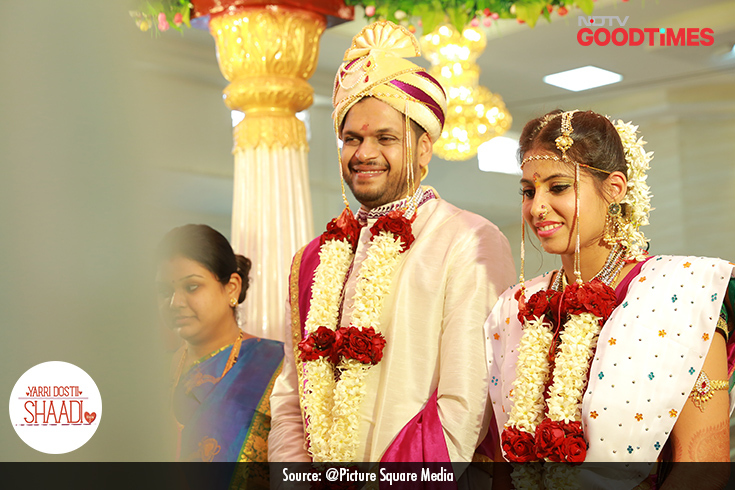 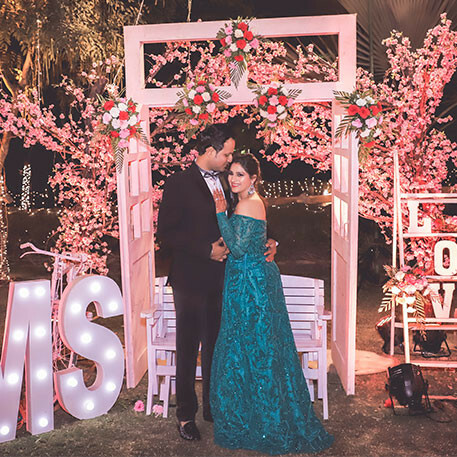 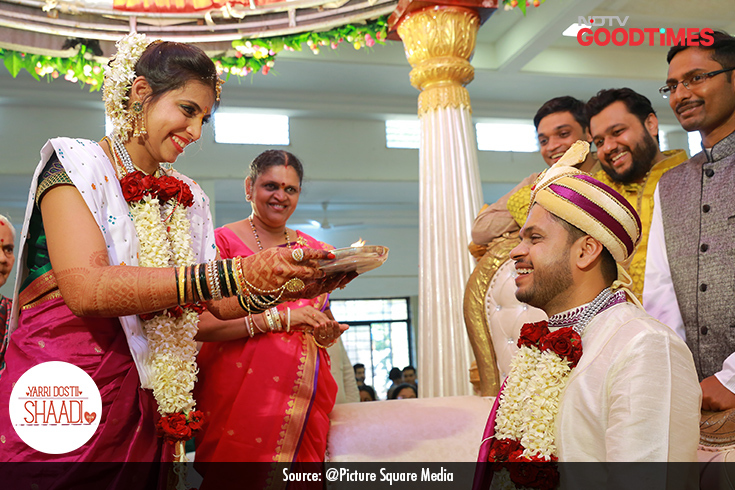 Considering this as a sign from the universe, Padma and Jagdish decided to tie the knot in a traditional Konkani wedding. 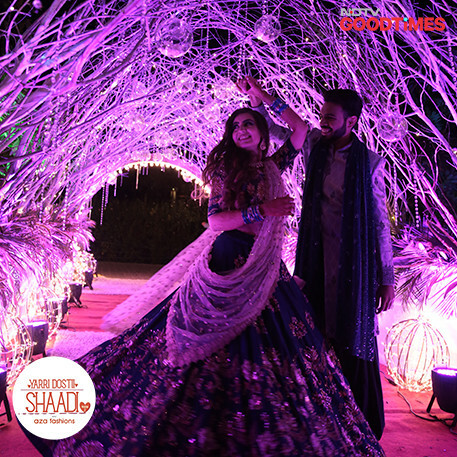 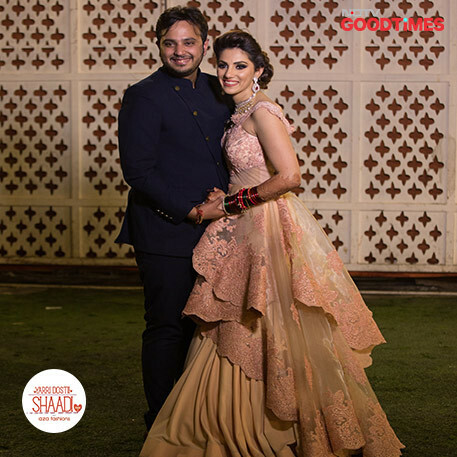 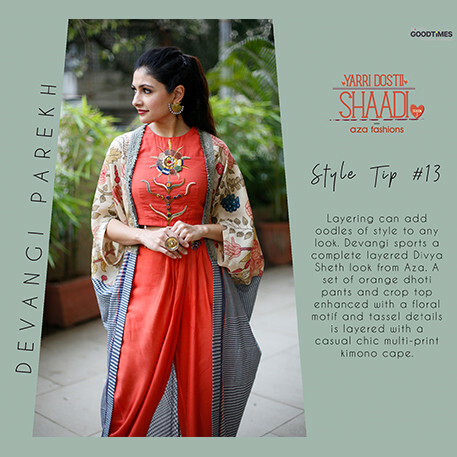 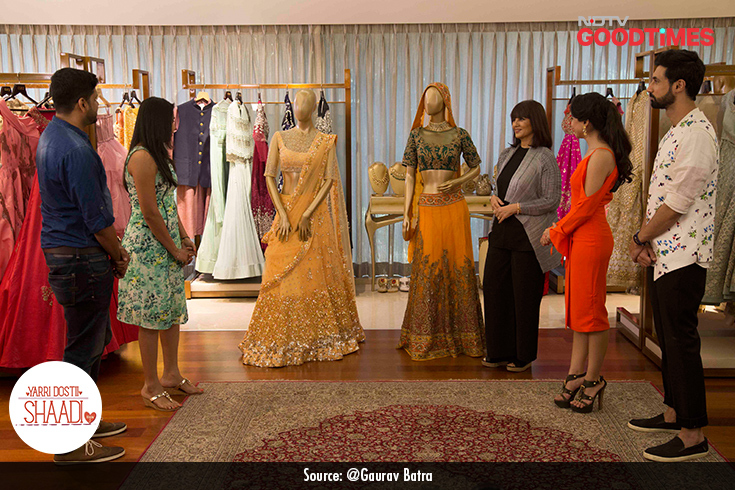 Our chief stylist Devangi surprised Padma by getting designer Neeta Lulla on board to style her for the Sangeet. 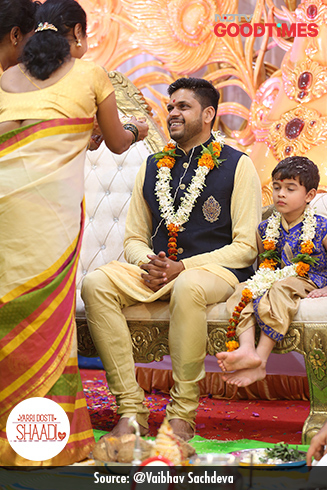 The wedding begins with a ceremony called edur kansani, where Padma’s family welcomes Jagdish and his family. 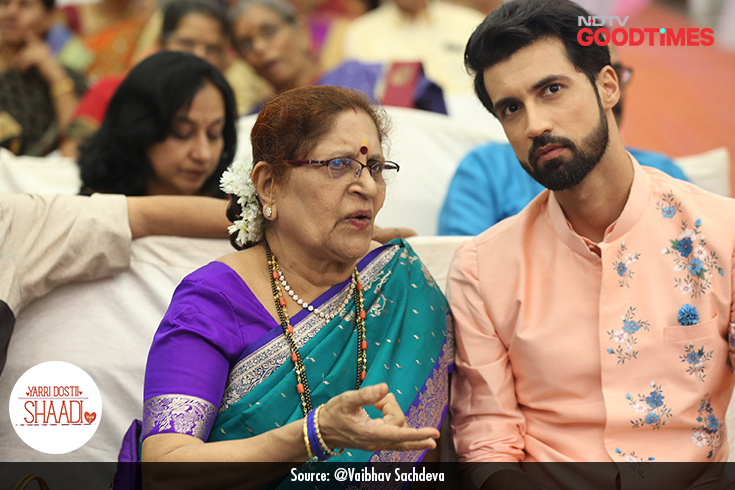 A relative comes to Aalekh’s rescue to explain the rituals and traditions of a Konkani wedding to him. 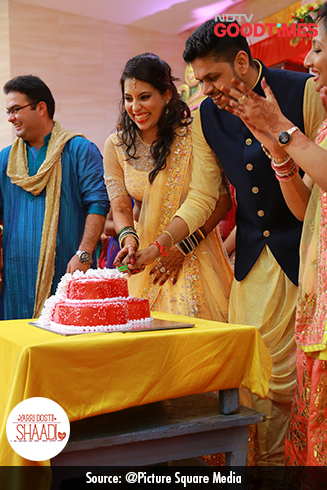 After their Sangeet ceremony, Jagdish and Padma cut the cake. 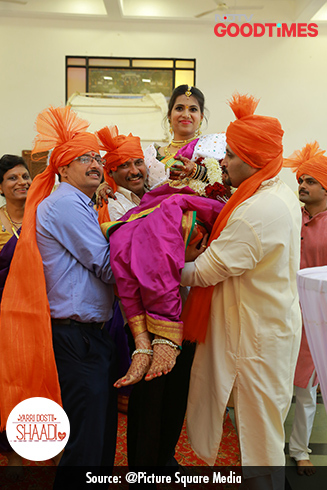 Padma enters the mandap with her uncles and brothers carrying her on their shoulders. 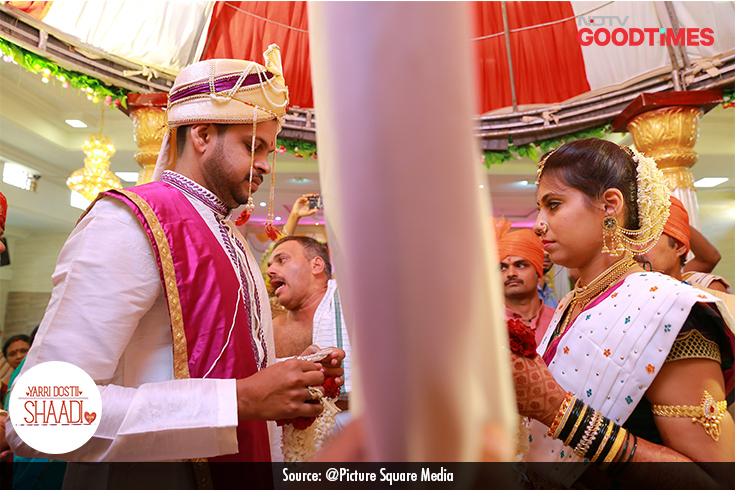 Antar Patha is a Konkani wedding tradition where the priest holds a veil between the couple before they exchange garlands. 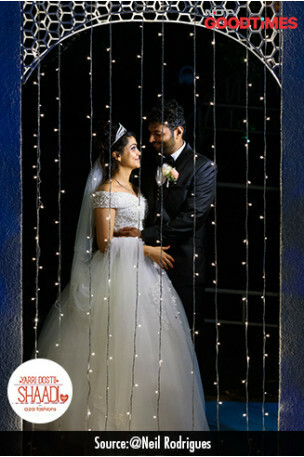 This veil signifies the separate lives of the bride and groom, which will soon end with their union. 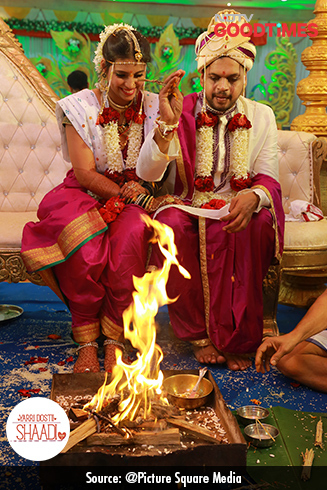 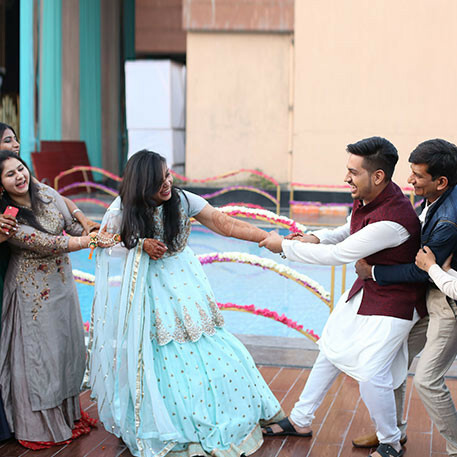 With their friends and family as witnesses, Jagdish and Padma take the seven pheras around the fire and promise to spend a forever together. 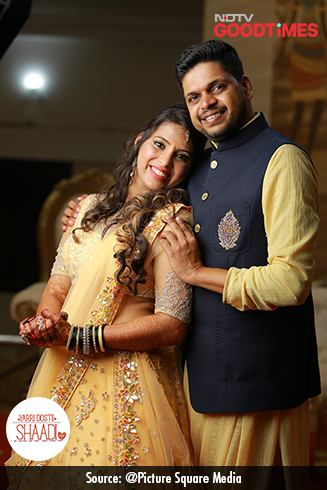 Knowing that they are now husband and wife, Padma and Jagdish look at each other, smiling. 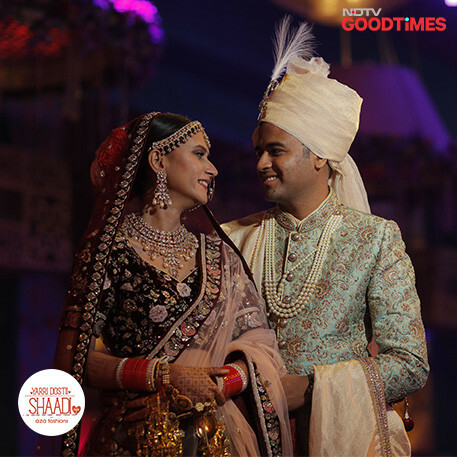 With their wedding ceremonies coming to an end, Padma and Jagdish smile ear to ear, beaming with happiness.